What would you do if your latest gadget didn’t have that awesome feature you craved for? If that question just left you blank then your only hope is that someone would come along one day and hack that feature right into the device. Apple’s patented multi-touch technology is probably one of the hottest features everyone wants in their touch sensitive devices. We already saw that the HTC Google G1 is multi-touch capable couple of days ago, and now Symbian Freak just showed us a cool demo that put Multi-touch right on the much underplayed Nokia 5800 XpressMusic. One shouldn’t forget the fact that the 5800 is a resistive touch screen phone, while multi-touch is limited to capacitive touch screens. The resistive technology has the advantage of being more accurate as the point of touch is recognized by the intersection of two separate plates on a grid. The basic hardware in the resistive touch screens isn’t capable of registering multiple points of interaction, though Stantum demoed their latest “TouchPark” at CES this year that did just that. This essentially means that given the right basic hardware, resistive touchscreens can also be outfitted with multi-touch via software hacks. And the demoed game above proved just that by turning the Nokia 5800 into a multi-touch device. 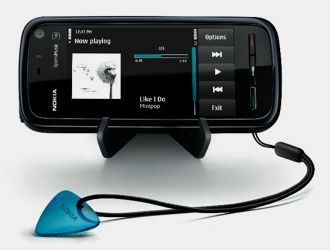 We can now hope that the technology would mature to a point that all S60 touch devices become multi-touch capable, especially the upcoming Nseries flagship, the Nokia N97, which would make it one step closer to being a true iPhone killer. good one… i want it!! Ran 58 queries in 0.246 seconds.